S -13° 45' 57" and W -172° 19' 36"
Satupa‘itea in Satupa‘itea is located in Samoa about 38 mi (or 61 km) west of Apia, the country's capital town. Current time in Satupa‘itea is now 06:12 AM (Monday). The local timezone is named Pacific / Apia with an UTC offset of 13 hours. We know of 6 airports close to Satupa‘itea. 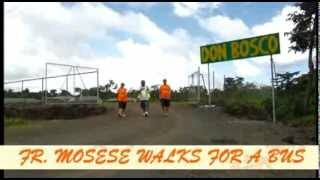 The closest airport in Samoa is Maota Airport in a distance of 5 mi (or 8 km), East. Besides the airports, there are other travel options available (check left side). While being here, you might want to pay a visit to some of the following locations: Vailoa, Safotulafai, Mulifanua, Safotu and Leulumoega. To further explore this place, just scroll down and browse the available info. Let's start with some photos from the area. Located at -13.7333, -172.167 (Lat. / Lng. ), about 11 miles away. Located at -13.735, -172.324 (Lat. / Lng. ), about 2 miles away. 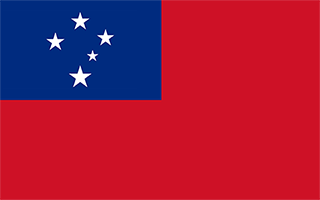 Palauli is a district and village of Samoa, with a population (2001 Census) of 8,984. It consists of two sections on the southern side of Savai'i. The capital is Vailoa which is also referred to as Vailoa i Palauli (Vailoa in Palauli district). Geological formations of lava tubes have created the Taga Blowholes on the coast of Taga village and attracts visitors and tourists. Located at -13.7, -172.467 (Lat. / Lng. ), about 10 miles away. Located at -13.6667, -172.25 (Lat. / Lng. ), about 9 miles away. Located at -13.819, -172.172 (Lat. / Lng. ), about 11 miles away. Located at -13.7833, -172.217 (Lat. / Lng. ), about 7 miles away. Taga is a village on the island of Savai'i in Samoa. It is situated on the south east coast of the island in the district of Palauli. The population is 753 (2006 Census). Geological formations have created the Taga blowholes on the coast. Located at -13.7667, -172.467 (Lat. / Lng. ), about 9 miles away. Located at -13.75, -172.3 (Lat. / Lng. ), about 2 miles away. Gataivai is a village on the island of Savai'i in Samoa. It is situated on the south east coast of the island in Palauli district. The population is 1,152 (2006 Census). Located at -13.75, -172.383 (Lat. / Lng. ), about 4 miles away. Located at -13.75, -172.35 (Lat. / Lng. ), about 2 miles away. Located at -13.7667, -172.3 (Lat. / Lng. ), about 2 miles away. Located at -13.7667, -172.333 (Lat. / Lng. ), about 0 miles away. Located at -13.6333, -172.2 (Lat. / Lng. ), about 13 miles away. 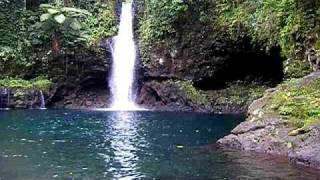 Lano is a village on the north east coast of Savai'i island in Samoa. The village is part of the electoral constituency (Faipule District) Fa'asaleleaga IV which is within the larger political district (Itumalo) of Fa'asaleleaga. The population is 721 (2006 Census). The village has white sandy beaches by the main island road and there are beach fale for visitors and tourists and reef breaks for surfing. Located at -13.613, -172.201 (Lat. / Lng. ), about 14 miles away. Fogapoa is a village on the north east coast of Savai'i island in Samoa. The village is part of the electoral constituency (Faipule District) Fa'asaleleaga II which is within the larger political district (Itumalo) of Fa'asaleleaga. The population is 240 (2006 Census). Fogapoa is also part of the sub-district Safotulafai, the traditional centre of Fa'asaleleaga District. Located at -13.6667, -172.183 (Lat. / Lng. ), about 12 miles away. These are some bigger and more relevant cities in the wider vivinity of Satupa‘itea.